Epoxy floor coating is comprised of epoxy which mixes resin and polyamin hardener. The substrates cure into a long-lasting finish that protects against heavy usage. Epoxy provides excellent protection against chips, stains, and chemicals. 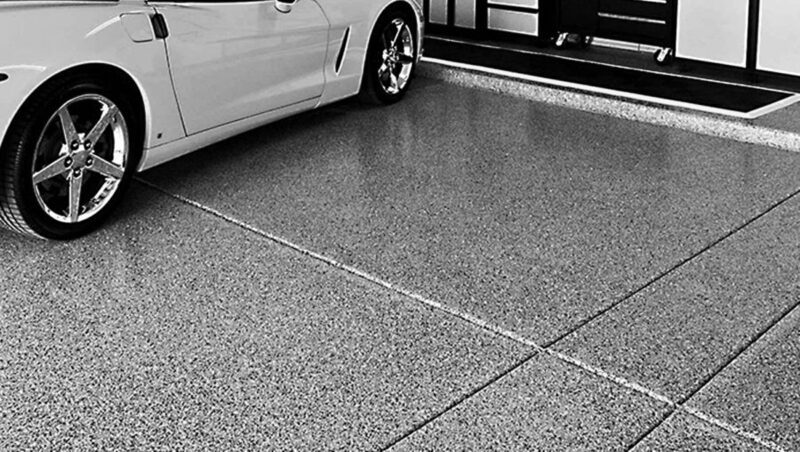 Epoxy floor coating is commonly used in garage floors for its ability to protect against auto-related wear and tear such as oil spillage. However the coating is also used in auto shops, hangars, and other commercial settings such as museums and even in the forays of convention centers and even gymnasiums. Garage floors and spaces treated with epoxy also provide simpler maintenance than bare cement floors which tend to release dust particles. In addition to its functional purpose, epoxy floor coatings also provide beautiful end-results that will transform existing dull concrete floors into eye-appealing spaces. 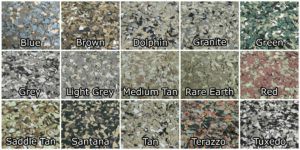 Customers can choose from a variety of colors and hues to customize their floors to suit their individual preferences. One of the reason we dissuade our customers from applying epoxy themselves is that store-bought epoxy floor coatings do not provide the necessary protection against hot tire pick up for example. Store bought water-based epoxy coatings fail to provide a thick strong layer of protection and can grow weaker in warmer conditions. Solid epoxy floor leave a reflective sheen to a surface. Customers not only have the option of selecting the color of their preference, but also, select custom patterns that can be created with a rolling sponge to add a level of interest. 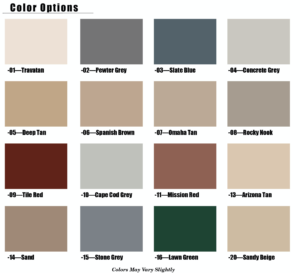 Customers seeking for a more textured look to their garage floors can consider color flakes, one of the most common techniques used in garage floors. After prepping a floor’s foundation by sweeping and vacumming a floor, an epoxy coat is applied and colored flakes are broadcasted or dispersed until the initial layer of epoxy can no longer absorb the colored flakes. After allowing for the proper drying time, excess colored flakes are scraped off, and spaces are re-vacuumned again. Epoxy floor coatings treated with colored quartz are applied in similar fashion to colored flakes, however, colored quartz gives off a more pebbled appearance. Epoxy color quartz systems provide a high-density overlay that protects against abrasion that occurs with heavy-duty usage. 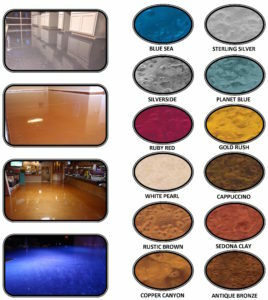 Colored quartz systems are popular in retail and commercial spaces for their ability to maintain a clean appearance with a pattern that camouflages dirt. Some of our customers are happy with their existing floors and request Epoxy clear coat. Epoxy clear coat applies white but when finished drying, leaves a strong but transparent overlay that protects floors. Epoxy clear coat can be applied to existing concrete floors. Metallic epoxy floor coatings leave a reflective sheen and can oftentimes resemble luxurious marble floors if customers request a metallic marble epoxy flooring. These highly reflective surfaces can also be requested in solid colors and are ideal for retail and commercial spaces such as casinos, shopping malls, and gymnasiums. We also offer Epoxy cover base and non-slip overlay systems. Anti-slip floors are ideal for commercial kitchen floors for example. With our urethane cement top coat, our customers can enjoy a long-lasting flooring system that will withstand harsh chemical cleansers, grease, oil, heat, and other traditional wear and tear that occurs in environments such as kitchens and laboratories. Our Epoxy cover-base and non-slip overlay system is chemical resistant and health department approved for kitchens and labs.